Every cook should have shears in a kitchen tool set! 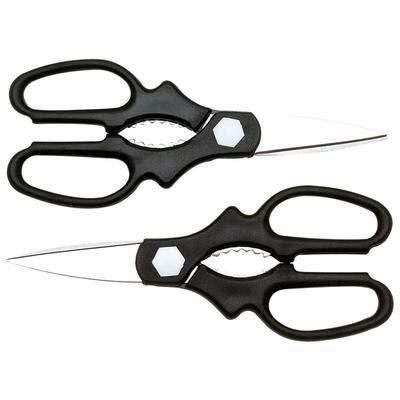 This Diamond Cut Supreme 2-Piece Set Kitchen Shears are all purpose shears that are great for frozen food bags, chicken, pizza, paper, and just about anything else in food preparation. Surgical stainless steel blades Are durable and sharp. Heavy duty shears Are suitable for cutting almost everything connected with meal preparation. Poultry shears with a notch in the blade Are good for cutting chicken bones, cord and small wire.